I wish to show �Autocity� . 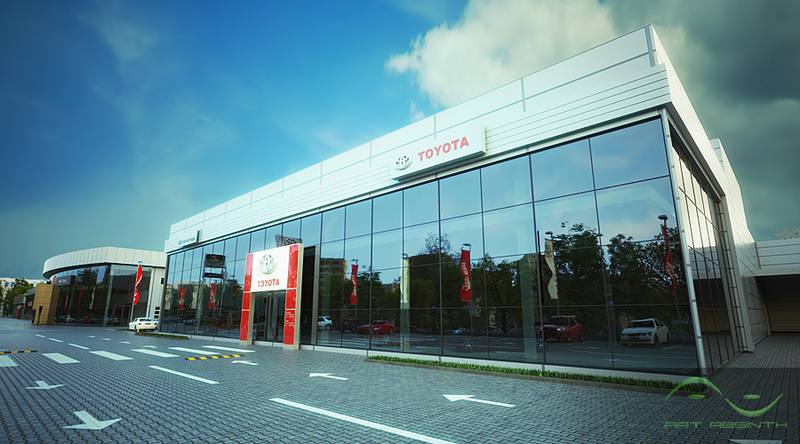 In this project we developed animated visualization of auto trading centre �Vidi Autostrada� in Kyiv. The project presents autocentres of several brands: Lexus, Toyota, Nissan (already built with operation), and also Mazda centre (will be built in the near future). Graphic materials became the basis for flash-presentation made for the customer's corporate site. You can view animation on our site or on YouTube. Very nice post. I so like the angle which provide very good lighting of your work. You earned this comments. It's very good work indeed. Thanks. Really appreciate Your comments! I like it. are the reflections in the windows from an image or are they reflecting models? These are reflections of models. Very strange perpective angle, but in this wotk - it seems great! They look so real! I can't believe, I would thought it was a photo if I did not see it here. I think it's great. Well done! Really done nice job there....i appreciate you to sharing for this kind of post. It's incredibly realistic. Awesome job! Awesome render, it looks really realistic. Amazing architectural rendering.